Father to 17204 is a son of Super Ace 640. 640 was the best yearling RV Nievenheim 2009, 12th best pigeon National, in 2010 he was first 2,363 birds, 1st from 1,820, 2nd from 3,577 birds, 1st Best pigeon in Region 413. 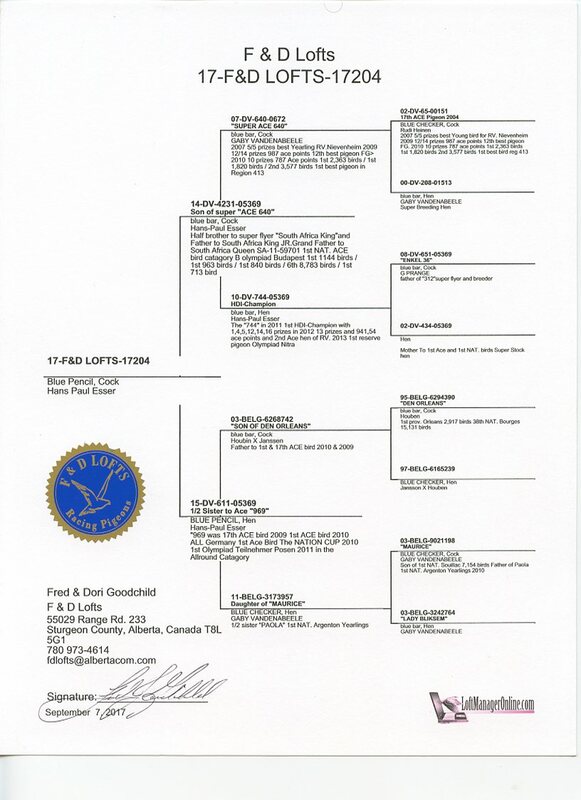 Father is half-brother to the super flyer South Africa King and South Africa Queen who was First National Ace bird category B Olympiad Budapest. She was 1st from 1,144 birds, 1st from 963 birds, 1st from 840 birds. 6th from 8,783 birds and 1st from 713 birds. 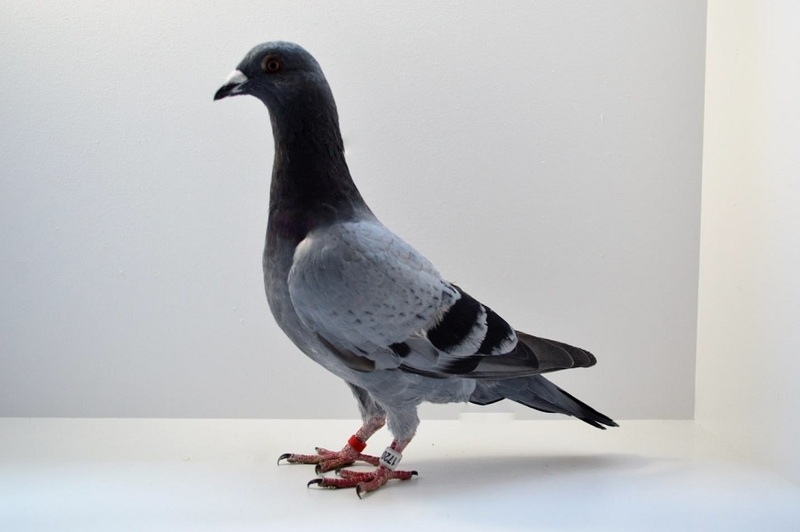 The mother to 17204 is a half sister to Ace 969 who was 17th Ace bird in 2009, 1st Ace National 2010, 1st Ace bird National Cup, 2010 and 1st Olympiad Teilnehmer Posen 2011 in the all around category.